Let's face it, even the alien weapons were made for the Master Chief. As such, I'm not going for game accurate scaling. I want my weapons to look appropriate to my size. Here's what I figured.. Find MC's height, find my height and see the difference and then scale the weapons based on that difference. Since Pepakura works in millimeters I will keep everything in that measurement. When looking up the bruteshot's details, the dimensions should be 1811mm x 177mm x 537mm. Huge! But, as this reference picture shows, it is supposed to be big even on the MC. Scale that by 82% and I get 1485mm x 145mm x 440mm.... That's still so big! I decided to go a little less and entered the depth of the pep file as 1400mm. For this weapon I will be using rundown 's file found here. Now to rearrange the 201 piece puzzle to fit on the pages. 1. Set Scale > change one measurement to my best guess. 2. Use the measuring distance option to see if openings are going to be wide enough. 3. Once I'm happy with the size, I check and change the "Paper and Printer Settings"
~a. Make sure paper size is correct for me, Letter=U.S and A4=Europe. 4. I like to edit the tabs and fold lines as well. 5. Move the pieces around or cut them in half to make them fit on the pages. I try to keep it as close to the original arrangement as possible for reference when I go to put it together (since I can't save the file). 6. Go to: 2D Menu > Check Overlapping Parts to make sure that nothing will get cut off when printing (highlighted in red). 7. Go to 2D Menu > uncheck Show Edge ID , the numbers can really get in the way of small fold lines. Not quite as far as I would have liked after three full days of pepping. Also, little disappointed at the size. The handle at the top is just big enough to fit my hand through, not gonna be pretty holding it with gloves on.. The overall length is going to be 4 1/2 feet though so I can't imagine it being much bigger. After resining I will cut the handle off and add some dowels in to bring the handle up higher. I used popsicle sticks (tongue depressors) and small dowels inside as I went to help keep the structure. I'm getting closer! This time tomorrow and I should have the knifle fully pepped, knife and all. You may note that I used popsicle sticks on the outside of the barrel and other appendages to help keep them straight for the resining process. It will be a pain to remove them, but not as much of a pain as making something straight that just isn't. Oh and I am happy again with the size. By the time I get the blade on there it will not need to be any bigger. I really don't recommend pepping a weapon. This has been the most challenging and most time consuming pep I've done. I also can't imagine doing a smaller weapon. The only saving grace was that at most times I had plenty of room to get my hands in. So I guess that means my next one will be a Fuel Rod Cannon. :lol I'll have quite a bit to do with the suit though, so no more big weapons for awhile. Here are some close up shots of the pep work. Thanks to rundown for the file. I will probably be cutting off the handle here and here* and a adding some length in to get my hand. My only other thought is that it will then be hard to hold the alternate way that MC holds it, with his palm on this handle and his fingers gripping the edge in front of it. The weird appendige that sticks out the farthest for some reason didn't get pepped symmetrically. I am going to cut it off here and here* and just re-pep this portion. This is a picture of the blade, with the knife edge closest to the camera. I don't know what happened, but as I went to glue the knife edge together it pulled it crooked here*. I was able to get it to straighten out, so I think I will leave it and just try my best to fix it a little more with bondo. Here we go guys and gals. Not much different "image" wise, from the pepped piece, but it is solid now. It has a great weight to it. I made sure to never let it dry sitting on one side for too long. Took me 4 evenings to do 2 full coats of resin. After that I did two sessions of rondoing on the inside. I wasn't able to get it 100% rondoed since it is so big, but I will file down the edges and then resin it again. After that it should be ready for shaping. As usual I will document my progress as a tips section since it is my first post doing rondo. 1. 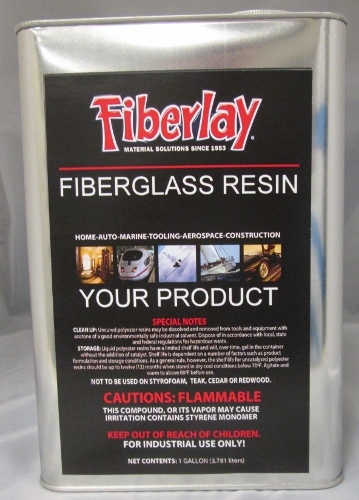 After you resin the outside of a fully enclosed pep, like a weapon, you will not be able to get inside to fiberglass. Some people have posed using expanding foam, but that is risky. Expanding foam can keep expanding for months after you apply it, which means it could pop your pep like a kernel. So get out your Bondo, or other body filler, and your resin from earlier. 2. Mix the bondo and resin together to make rondo, roughly a 50-50 mix. I like it a little runnier so I did a 5:3 or 5:4 ratio. Meaning 5oz of resin for every 3-4oz of bondo. 3. Be sure to use the same amount of catalysts for bothproducts. 5. From here simply get it inside the piece and then shake. It should stop running after about 10-15 minutes. 6. Remember to support your piece and check for warping/caving before walking away. For my big guy here, I drilled about ten 7/32" holes evenly throughout the piece. I picked up some condiment squeezers from the dollar store and from here I was able to get the rondo in without too much getting out. I ended up filling one of the squeezers twice, then let it dry. Then I added another squeezer full, I feel like I should have done two though. It was a nice sunny day, so while I was squeezing the rondo into the piece I was able to hold it up and see the silhouette of the rondo and attempt to move it around accordingly. Right now I have to file the edges that stick up down to help smooth out the poly shapes. I broke through the paper in some spots, instead of using krazy glue to re-saturate the paper I am just going to give it another once over with resin. Before I do that I have to fix the curved aimer piece that I pepped wrong. This is the first time I've done a fix like this. I reppped the aiming bar and resined it, then rondoed it. Now I'm going to hot glue it into place and then resin it again. Warping is pretty much the same that was there during the pepping. I made sure to not resin or rondo too much in one session for that reason. First coat I did about 1/3 of the piece, let it dry and did another 1/3 and so on until I did 2 full coats. The extra warpage only occurred because I forgot that the bondo in the rondo makes it warm up and warming up the resin makes it bendable again. In any case the changes are all fixable with some slight bondo work. Some may remember, after the last update I left my brute shot in the car on an 80* day. The knife part warped pretty bad. Last weekend with a heat gun I was able to bend it back. I think I'll use some expanding foam to help keep it from happening again. I'll be back at this one this summer. I've already done one coat of Rondo! Look forward to seeing how this turns out! Holy cow Duke, this is looking incredible! Very incredible! Would LOVE to see more! Please don't leave this one in the car............It's too pretty. But an update with pics would go down smooth right about now. Sean Anwalt - I'm not a fan of giving update photos during the bondo stage... it just looks so ugly! *That's two coats of Rondo and one side about 70% covered with it's first coat of bondo. Now, my deadline is November 1st. So don't get too antsy! But, I'm planning to bondo and sand one whole side first (so I dont loose the detail), which means you should get a crisp photo in the near future. Photos alone don't do this thing justice. Seeing it move and be manipulated by you last night in video chat blew me away. Watching this thread even harder now. Yeah, it's a beast. I am not looking forward to walking around with this one. Not sure if I'll even be able to hold it with how big my chest is! I'll be on again tonight! I think it is supposed to start raining after today. Have you thought about molding it when you're done? Because if you do you could cast it out of lighter materials and save yourself some weight trouble. Thank you ColdFireD96 , but please be aware of the last post date. It is discouraged to post in threads that have been silent for 3 months or more. If you have a question you can message the original poster.